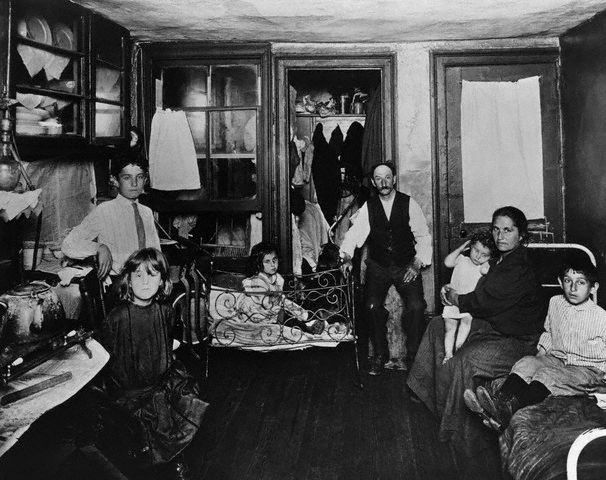 There was a tremendous amount of homelessness and poverty in the United States during the Progressive Era (1890-1920) into the Great Depression. More specifically, one of the hardest hit cities was New York city. "History of Poverty & Homelessness" says, "In 1914 a dozen eggs cost 50 cents- $11.36 in today's dollars" ("1890-1928"). The high cost of goods and the low income really caused people to make their dollar stretch. Apartments in New York was leaky and poorly constructed. According to the Gordan family "On this night, water poured into the rooms so rapidly that the Gordans were afraid to sleep" ("Gordans' Story"). Things continued to get worse when the Great Depression hit. According to "History of Poverty & Homelessness" "In 1934 around 15%of New York City residents were receiving public relief" ("1929-1976). Homelessness and poverty became a serious problem. 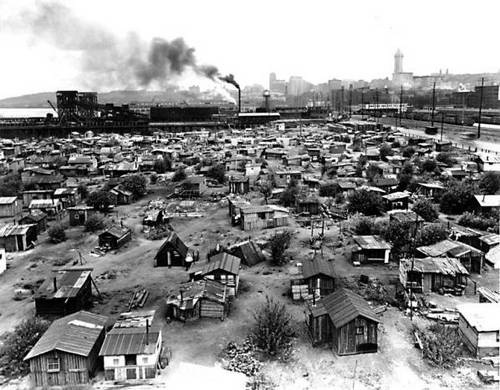 All throughout the Great Depression many countries felt homelessness and poverty having an effect on their country. Germany was one of many that was hit hard. After going through World War I and the Treaty of Versailles, that stripped Germany of some of its land, Germany was flat out broke. 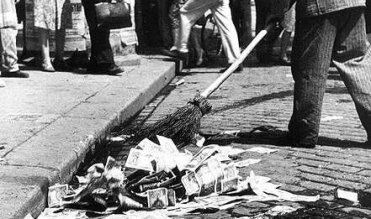 It is said that "German money had so little value, that it might take a wheelbarrow full of notes to buy a few groceries!" ("What was the Impact of the Great Depression in Germany"). After World War I Germany had hyperinflation because it had to repay the debts by the war. People became so poor that they resorted to selling matches on a street corner. This extreme desperation lead people to put their faith into leaders that they thought could help them. Lawrence Reed says, "With the coming of power of Adolf Hitler in 1933, the German economy became increasingly socialized and militarized" (Reed). People became so scared of being impoverished that they gave power to a dictator.